On Thursday 22nd May, 9 teams from different Primary schools in the Helensburgh and Lomond area took part in the annual Christian Aid Netball tournament. The tournament took place in Lomond Sports Hall and was a most enjoyable evening with some great play and teamwork shown by all the pupils involved. In the preliminary rounds Hermitage Primary and Cardross Primary came out top, with Colgrain Primary and the All Stars coming runners-up. 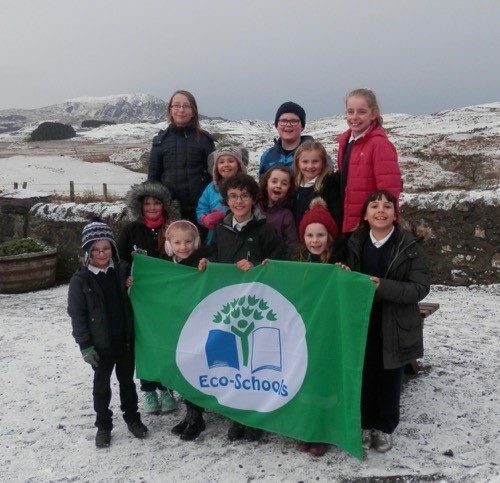 The children of Luing Primary were very pleased to receive their fifth green flag, which involved studying Sustainability, Transport and Litter. To celebrate Robert Burns Day, pupils from Primary 3 and Primary 3/4 held a Burns Bash in their Upstairs Open Area. This consisted of a Baking stall, Bric-a-brac and a café where children enjoyed shortbread and juice. Chanter music and highland dancing was enjoyed by the visiting classes while they sat in the café. A very successful Craft Fayre and Concert was held in Castlehill Primary School recently. 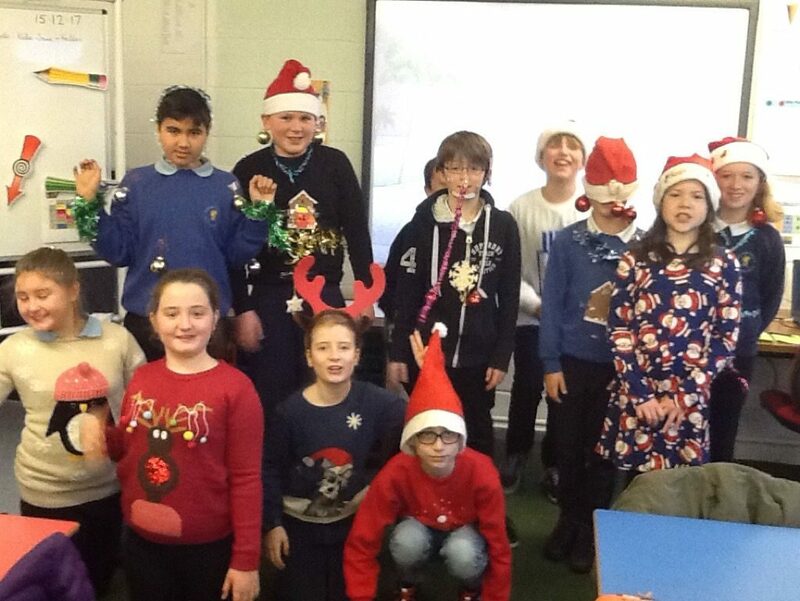 All the classes made a huge variety of Christmas crafts to sell and the sum of £1450 was raised. Parents, family and friends came to buy the crafts and enjoyed a coffee while listening to the children perform a variety of musical items. Each year Tiree High School offer a local Christmas Card Postal service to their community. 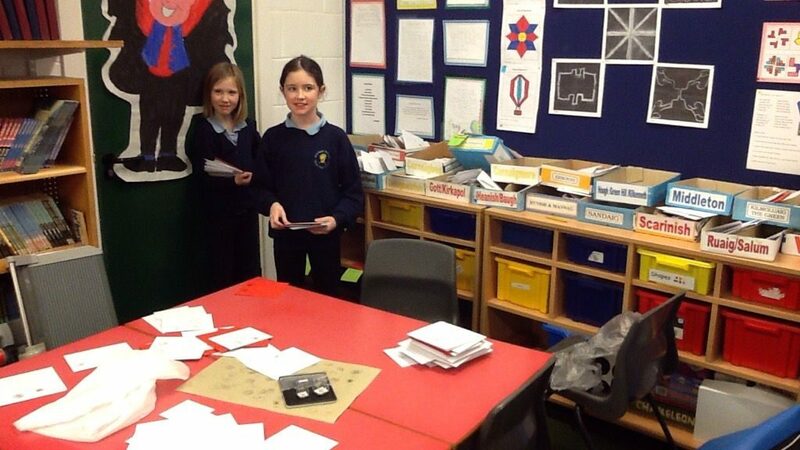 For the reduced cost of 25p local cards are sorted and delivered by children in the Primary Department. This year our post was very busy – £124.25 was raised for school funds. Tiree High School took part in Save the Children’s Christmas Jumper Day on Friday 15th December. Lots of silly jumpers were worn and made to raise £117.35 for the great cause. A Wonderful festive Joint partnership with the communities and schools of Minard and Furnace on Saturday at the Christmas Fair. The weather outside was cold, cold, cold but the locals and pupils turned out amid the festive snow and ice to support the school. The Children and Staff put on an amazing range of Christmas Gifts along with local stall holders who regularly support the school and its enterprises. 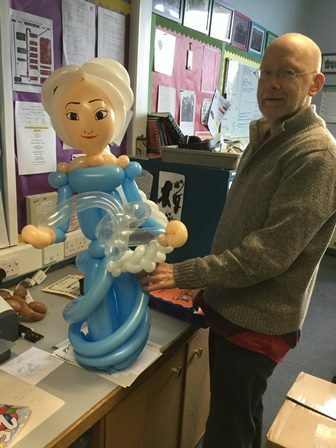 The pupils were enthusiastic fund raisers especially on the tombola and even Elsa turned up for the raffle! Dalintober PS pupils, parents & staff raised a fantastic £465 with their annual ‘Children In Need’ Fundraiser. We all wore our ‘Pyjamas for Pudsey’ and participated in lots of fun activities, such as a ‘Puffed Out for Pudsey’ obstacle course, cupcake selling and Danceathons. 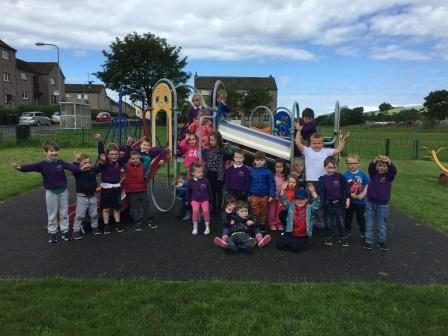 Achaleven Primary opened up their doors to the community for an Autumn picnic on Wednesday 13th September to raise awareness and funds for Mary’s Meals. In 2015 the Global Goals for Sustainable Development campaign was launched with agreement from 193 countries to work towards an end to poverty, inequality and climate change by 2030. The second goal of this campaign is zero hunger. The children wanted to run an event to see what they could do to help. The children at Dalintober ELC had a fun day out while raising money for Barnardo’s. The children walked from Dalintober Primary School to the ‘Donkey Playpark’. They had their snack and a wee play there before heading back to the school. They were very good at following road safety rules and kept us all in check! We raised £423.60. A big thank you to all who sponsored and help us on the day. Kirn Primary has had an amazingly active Health Week, with a huge range of fun activities to take part in. 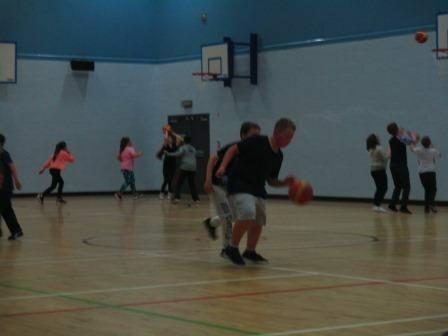 Instructors have visited to run workshops for children to learn about Basketball, Swimming, Karate, Tai Chi, Keep Fit, Highland Games events, Baton Twirling, Indoor Bowls, Golf and Rugby. 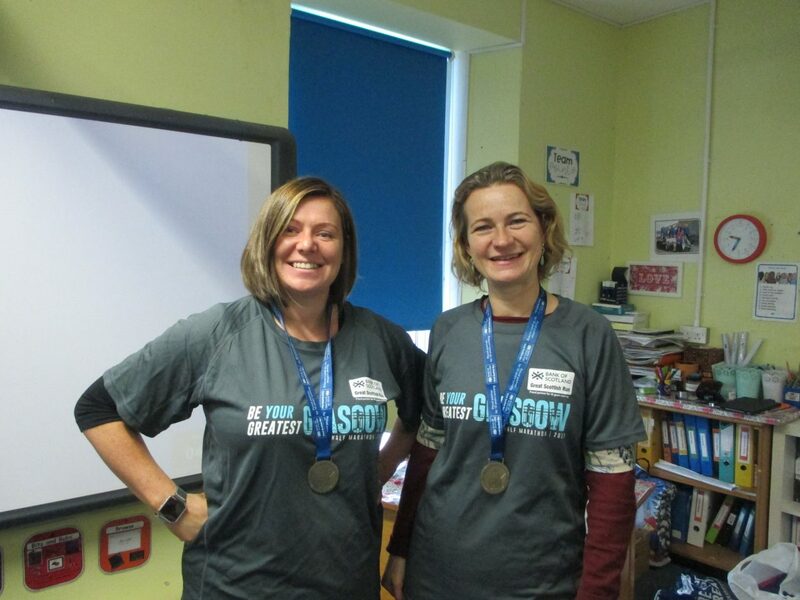 P7 children held a sponsored walk and the iCycle Programme has continued during this week. 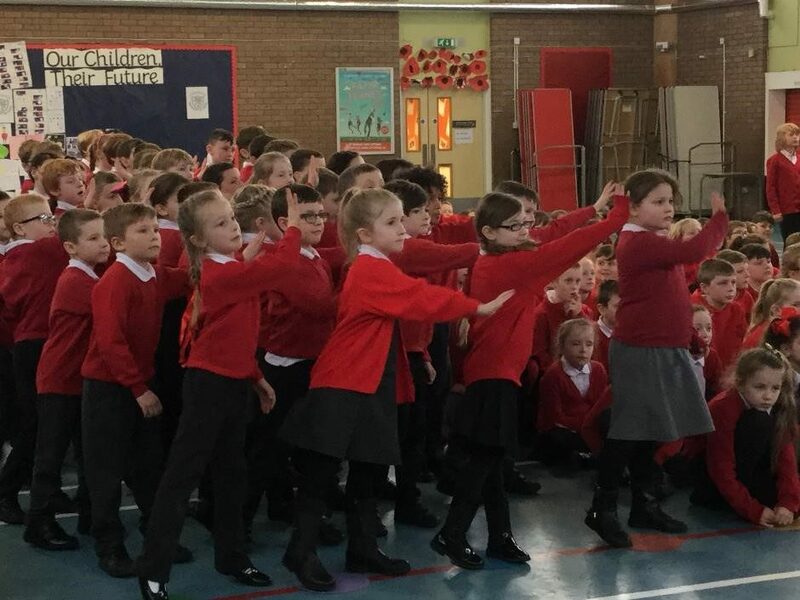 The children at Drumlemble have been taking part in skipping lessons in the school as part of The British Heart Foundation – Healthy Heart program. 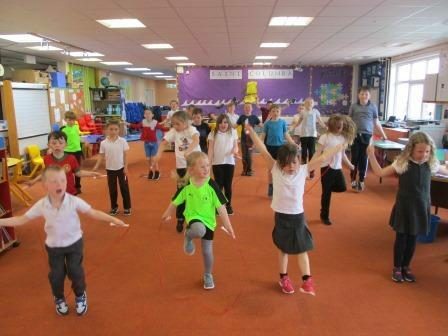 The children from, Primary 1 – 7, took part in a sponsored skipping event called Jump Off, on Friday 9th June, to raise money to help fund BHF research which will help to prevent, predict and try to cure heart disease. The charity relies on the generosity of sponsors to help them continue this life saving work. 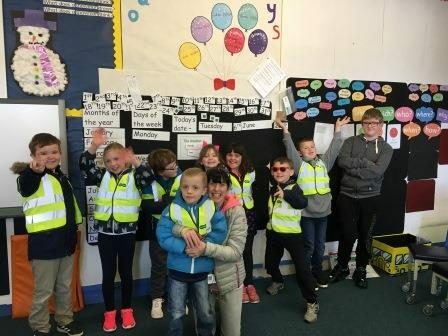 A few weeks ago, one of our older pupil’s had the fantastic idea of doing a sponsored walk to raise money for Learning Centre funds, particuarly to buy new outdoor equipment and toys. The LC2 class planned and organised the walk in consultation with the head teacher. We used Google maps to plan our route – it was 2.5 miles from the school to the Sandbank swing park which we thought was perfect. We wrote to parents, made posters which the younger children in LC1 helped to decorate, and carried out a risk assessment. 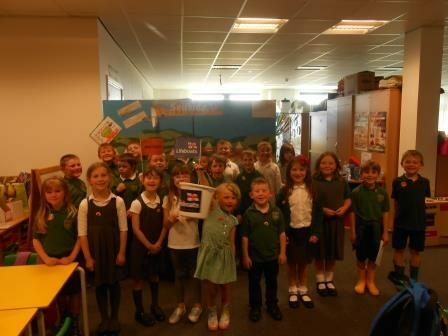 Kirn Primary’s P3/2 and Mrs Taylor were so pleased to welcome Walter Lee from the charity RNLI to our class as part of our seaside topic. Walter spoke about the work of the RNLI, and how their members are prepared to brave high winds and heavy seas 24 hours a day, 365 days a year to save people in trouble! What we didn’t know was that they don’t get any wages, they are volunteers so we decided to raise some money to help. We held a ‘design-your-own-welly’ competition which cost 50p to enter, and had a ‘Wear Your Wellies!’ day with a £1 donation if you did. 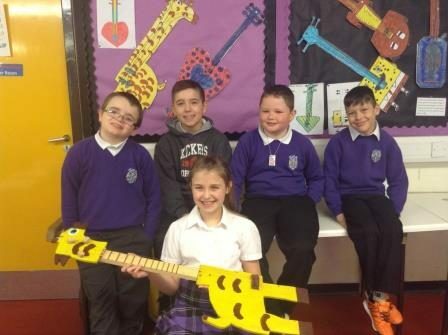 The Primary 6/5 pupils from St Muns Primary in Dunoon, recently spent two days visiting the Technical Department in Dunoon Grammar School, making their own guitars. Having been given a basic specification for a guitar, the pupils came up with their own unique designs and with the help of Mr Mollins and some S3 pupils, who acted as team leaders, they constructed the guitar parts from wood and pieced them together.